The fluffy texture and the mixture of taste from cream cheese, digestive biscuits and vanilla. Maybe even some lemon juice? Irresistible! If you are enjoying some cheesecake and feel a little generous, you may want to share this treat with your pet dog, but is cheesecake safe for dog? Can dogs eat cheesecake? The short answer is that it’s best not feed your dog cheesecake. Cheesecake is full of sugar and high in calories, and does not make a healthy treat for dogs. 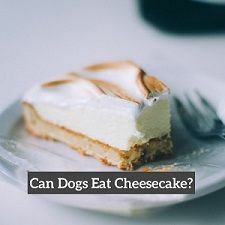 Yet, regular cheesecake does not contain anything toxic to dogs, so in theory dogs can eat cheesecake, but it would not be good for them. The cheesecake we love so much contains too much sugar and calories to be a healthy treat for dogs. On top of that, the lactose from the cream cheese is also problematic for a lot of dogs as many dogs are lactose intolerant. 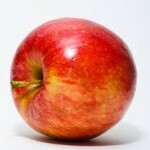 Dogs do not benefit from eating sugary foods. In fact, the exact opposite is true – sugary treats can be harmful for dogs. As sweets are not a natural part of a canine diet, eating cheesecake or another sweet treat can upset a dog’s stomach and cause diarrhea or even vomiting. Your dog may also act hyperactive and unfocused. Regularly feeding your dog sugary treats can also lead to dental cavities, unwanted weight gain and diabetes. Dairy is advertised as a good source of calcium for us humans, so you might assume that dairy is also good for your dog, but that is not true for a lot of dogs. In fact, most adult dogs are lactose intolerant. Their bodies simply are not equipped to break down lactose (a sugar found in dairy) making it impossible for them to digest dairy products. Therefore, giving dogs cheesecake or other dairy products, can cause digestive distress, vomiting and diarrhea in dogs. For dogs who are not intolerant to dairy, some low fat dairy products may be safe, but cream cheese is still problematic because of the high fat content. According to the American Kennel Club, a high-fat diet is a major cause of pancreatitis in dogs. That is why we do not recommend giving your dog cream cheese even if he or she has no problem digesting dairy products. If you are feeding your dog balanced commercial dog food, then you do not have to worry about your dog’s calcium intake. Balanced dog food already contains adequate amounts of calcium. Raisins and chocolate can often be found in altered cheesecake recipes. For dogs, however, raisins and chocolate can be the most dangerous ingredients. That’s because both raisins and chocolate are downright toxic to dogs. Eating a small amount of chocolate may only give your dog diarrhea and cause vomiting, but large amount can cause serious poisoning, which can result in heart attack. 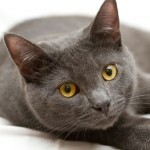 Consumption of raisins (or grapes) can cause kidney failure in dogs. 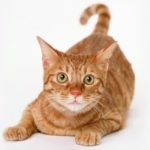 My Dog Ate Cheesecake – Should I be Worried? If the cheesecake that your dog ate contained chocolate or raisins, then it is best to contact the Pet Poison Helpline or a your regular veterinarian. Induced vomiting may be needed to save your dog from more serious health problems. On the other hand, if it was regular cheesecake, then there is not much need to worry. While it’s not good for dogs to eat cheesecake, it is also not dangerous if it happened only once. As long as your dog is on a good diet, a slip up with a small piece of cheesecake is not going to cause any long lasting harm to her health (as long as it did not contain anything toxic). 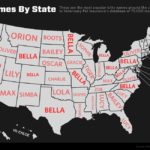 No, puppies should not be given cheesecake! A balanced nutritious diet is especially important for fast growing puppies. 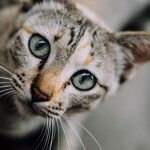 This not a good time to introduce sugary human food into your pet’s diet. Puppies also have even more sensitive stomachs than adult dogs, so something like cheesecake is likely to cause stomach upset, vomiting and diarrhea. Are All Cakes Bad for Dogs? Most cakes made for us humans are very sugary and not a good fit for dogs. Also, when considering sharing a cake with your pet, you have to be aware that it doesn’t contain any toxic ingredients. Besidies chocolate, raisins and grapes; you also have to watch out for alcohol, avocados, macadamia nuts and xylitol (a common artifical sweetener). The best option is to cook a cake especially for your dog and leave out all the dangerous ingredients. Can I Cook Cheesecake for My Dog? You know now that the sugary base made out of graham crackers and the cream cheese topping are not healthy for your dog, but you still would like to give your dog cheesecake? Well, if your dog is lactose intolerant, then I would say that there’s no way for your dog to eat cheesecake without it being more trouble than it is worth. Yet, if your dog doesn’t have any problem digesting dairy products, then there are many cheesecake recipes on the Internet especially for dogs. We recommend to choose a recipe where cream cheese is replaced with low fat dairy products like cottage cheese or plain yogurt. Regular cheesecake is not toxic to dogs, but it is also not good for them. 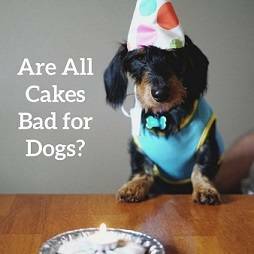 In fact, most cakes made for humans are not a good fit for dogs as they are likely to contain ingredients that are bad or downright toxic to dogs. If you want your dog to have cake because it is her birthday or another special occasion, then your safest option is to look up some dog cake recipes and cook something specifically for Fido. If you are not the baking type, you can always treat your dog with some fresh tangerines instead.